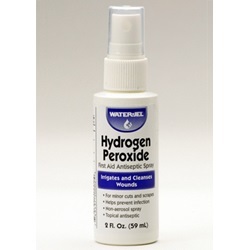 Water Jel Technologies - HYDROGEN PERXOIDE BOTTLE SPRAY 2 OZ. 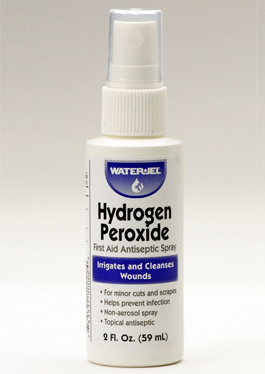 HYDROGEN PERXOIDE BOTTLE SPRAY 2 OZ. First aid antiseptic treatment for minor cuts and scrapes. First aid antiseptic 2 oz. spray contains Hydrogen Peroxide topical solution U.S.P. 3% to help irrigate and cleanse wounds.